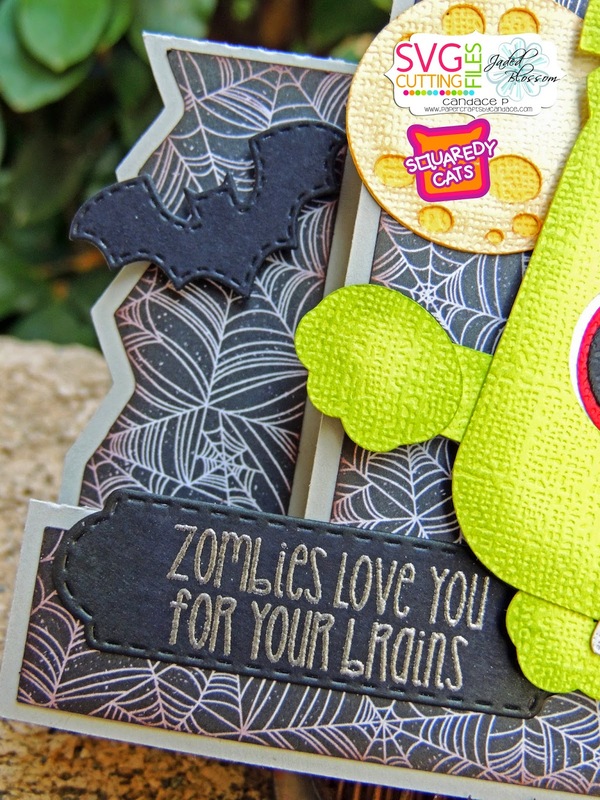 Paper Crafts by Candace: Not Squared to Crave Brains! I'm excited to share with you this Zombie Squaredy Cat!! EEK! Isn't he adorable? I love the foam/drool coming out of his mouth. This Squaredy will be available FRIDAY over at SVG Cutting Files! I also used SVG Cutting Files stair step card. Here is a close up of the Zombie! 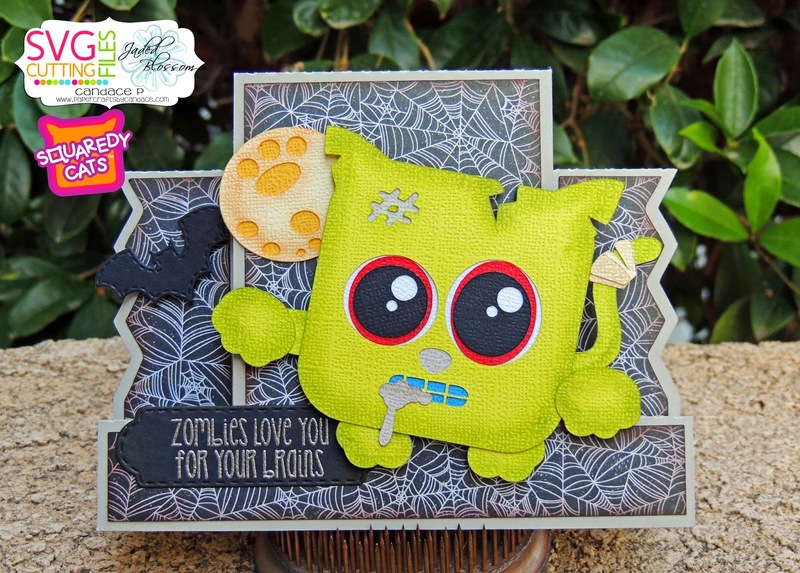 I also used Jaded Blossom's Mini Tag Dies 2, Halloween Dies and Vampires & Zombies, Oh my stamp set.